“You may go on reading any number of books on Vedanta. They can only tell you ‘Realize the Self’. The Self cannot be found in books. 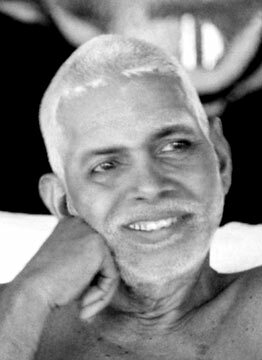 You have to find it for yourself in yourself.” Bhagavan Ramana in Gems ~ Chapter 8. Sri Ramana here states the truth directly and unmistakably. No matter how many books one reads, one cannot gain Self-Realization. Reading, thinking, and conceptualizing involve mental activity. Yet, it is this mental activity that distracts us and covers up the pure essence of being. This recognition is beyond thoughts, words, and concepts. We use the words only to indicate that our real Self stands always Self-revealed. Bhagavan Ramana teaches that once we become conscious of our power of attention to scan its own nature, we should focus on that. in the classic quote given at the beginning of the article, Bhagavan Ramana emphasizes the role of deliberate and conscious introversion of the mind by shifting our attention from perceptions to the perceiver via self-inquiry. “The Self cannot be found in books. You have to find it for yourself in yourself.” Bhagavan Ramana. How true!!! Thanks for sharing, Harsh! What would be, in your opinion, the most profound yet simple and clear book that points to the Self? Ex. One can’t find oneself in books obviously but they inspire us and help us get motivated even more!